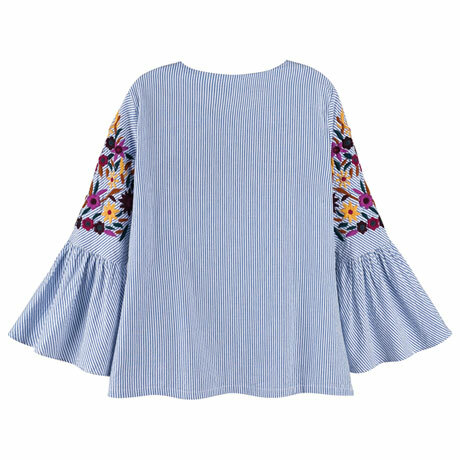 Cool in seersucker, this blouse has it all: style, attitude, comfort, and great details. 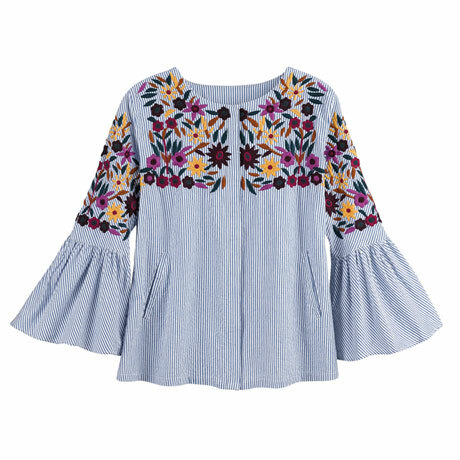 The colors of the embroidery are fresh and unexpected against the blue stripes of the seersucker. Full button front with hidden buttons; diagonal welted pockets; sassy bell sleeves. 100% cotton. Sizes S(6-8), M(10-12), L(14-16), XL(16-18), 1X(18-20), 2X(20-22), 3X(22-24). Size M hangs 26". Machine wash. Imported.